You don't have to be a Coffee Time Romance member to take advantage of having a contest on their site, which also includes free promo. Check the letter out below, which we send automatically to our members when they sign up. Again, you don't have to be a member. If interested send an email to the email addy provided, the month you'd like, and someone will get back to you with the specifics. 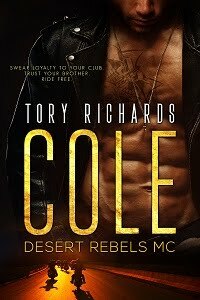 New Coffee Time Romance & More contest rules and perks! One of the benefits of your Coffee House Author membership is a spot in our Featured Contests. What better way to bring awareness to you and your books while letting us do all the work? You are not required to do this but the option is available to you. If you do want to take advantage of the Featured Contest spot, let me know which month so I can reserve your spot. As your time gets closer we will send you a reminder and further information. 4. Free advertising! Once I let you know that your contest is live you can contact Karenne at (karennelyn@coffeetimeromance.com) with your book cover and link. This is for every author who books a contest. We will put your book cover up on various pages for a month starting on the 15th of the month. 5. Added bonus! The contests run for a whole month. The author with the most entries will win a front page cover ad spot for an entire month (scheduling depending on availability). The winner will be notified when the contest is over. Yeah! I've taken advantage several times over the years. The free advertising just started, too.